Happy one year anniversary to the HTC Vive. I can't say it's been the breakthrough year many expected, but that's OK because VR is bumbling along just fine. The moment HTC and Valve announced their co-built system it lit a fire under the industry, and VR no longer belonged to Oculus. Bring us back to today and it's still a two-horse race in the PC space, but LG, Microsoft and more are waiting in the wings, while PS VR is sitting pretty in the console arena and mobile VR has an ever-growing list of options. And lest we forge Microsoft's Project Scorpio console, which promises VR support when it lands later this year. Give it another 12 months and this is going to be a vibrant industry. As for the Vive, it's doing just fine; it's estimated to be outselling the Rift by a hefty margin (though we don't have specific numbers), while the room scale tech has it a nose ahead on the hardware. Virtual reality as a whole is yet to hit its stride though, as developers, publishers and hardware manufacturers accept it won't be an overnight boom, but a slow-burner. And to its credit, HTC is adapting fast. As it marks its first year on this planet, the company has announced the launch of its Viveport subscription service, letting users download up to five titles per month for a $6.99 flat fee. HTC wants Viveport to be a sort-of Steam for VR, but as worthwhile content is still thin on the ground, a Netflix-style service could be a better way to make users part with their money. Content is one problem, but so too is the price of entry. The Rift and Vive are costly, not to mention that they need a reasonably-spec'd PC to run on; high-end virtual reality can easily set you back more than $1,000. But even if money is no object, the wonders of VR can never be honestly expressed though writing, but through experience. That's why there's a bright future for 'VR experience spots', and HTC is pouncing on the opportunity with a Viveport store designed especially for arcades. It's also putting its headsets in Imax's experience centers all across the world. Word is that Sony is looking to do something similar. As Ilya Druzhnikov, co-founder of the Exit Reality experience company recently told me, "a unit sat at someone's home is producing a couple of new users a week" - a VR arcade could potentially do hundreds a day. These pose their own set of challenges of course, but for many people, a $5 ticket to spend 15 minutes immersed in VR is more compelling and realistic than shelling out hundreds for an entire system - at least until the better games and experiences come along. 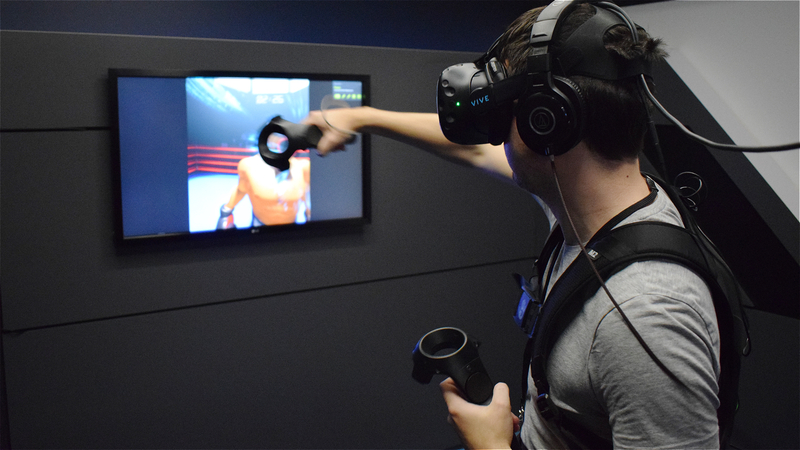 As a service, VR goes some way to combatting content and cost problems in these early days. I think HTC is on the right path, but I can't wait to see how different the VR space looks in another 12 months time.